Biosimilars are defined as “similar versions of an existing biological medicine by a different manufacturer.” Biosimilars may be used to treat difficult-to-manage conditions including rheumatoid arthritis, multiple sclerosis, chronic pain, HIV and cancer, among other conditions. Because they are more complex and more difficult to manufacture than other pharmaceuticals, rigid compliance to regulations and quality control are crucial to avoid contamination and drug shortages. Their complexity also means that they are more expensive for the patient. A recent article by NBC News suggests that “the number of patients who could benefit from these more sophisticated therapies will only continue to grow, in some cases by 15% annually.” But how will we afford them? As well, the Affordable Care Act will provide some relief in 2014 when insurers will be required to restrict out-of-pocket costs, including for prescription drugs. Contact the drug manufacturer directly and inquire about their Patient Assistance Program for your medication. They may be able to help you maneuver the insurance approval process. Ask your doctor’s practice administrator for help. Health plans often require prior authorizations and the paperwork can be daunting. Be polite and persistent. Make sure your health history, including prescribed medications, is well-documented. Ask your physician or nurse practitioner to assist you in pulling together your health record. Ask your doctor for assistance and advice regarding authorizations. Ask your employer for help if you have a health insurance plan through your workplace. Appeal if you are denied. Keep detailed records of all correspondence. What has your experience been with obtaining biologics? What advice do you have? Please share with us! Healthcare costs continue to be a concern, despite efforts underway to reduce them through healthcare reform initiatives. One area, in particular, is worrying patients and physicians alike: specialty drugs or biologics. 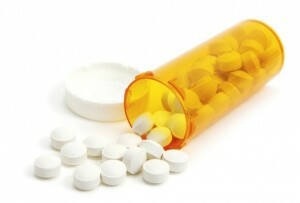 An article in Workforce Management reports that specialty drugs “make up about 17% of employers’ total drug costs, even though just 1% of the workforce takes them.” Reuters reports that “approximately 57 million Americans rely on specialty drugs,” with the average prescription costing $1,766.00 in 2011. “Specialty drugs are high-cost drugs used to treat complex or rare conditions, such as multiple sclerosis, rheumatoid arthritis, hepatitis C and hemophilia. The drugs are often self-injected or administered in a physician’s office or through home health services,” according to Wellmark. Specialty pharmacies specialize in the delivery and clinical management of specialty drugs. It is reported that the average cost per specialty medication is $2,000.00 per month, 10 times greater than that for nonspecialty medications, according to the 2012 Specialty Drug Benefit Report by the Pharmacy Benefit Management Institute, a research organization in Scottsdale, Arizona. Why do specialty drugs cost so much? 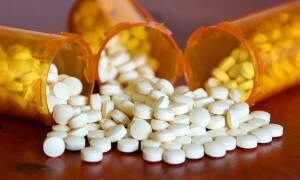 Workforce Management reports that “overall pharmacy spending is relatively low because of the number of drugs available in generic form, but specialty medications are derived from living organisms and have no substitute, unlike most drugs which are made chemically.” The complexity involved in manufacturing biologics stems from the fact that these medicines are derived from living cells grown in vitro in a highly controlled environment. The risks for contamination, counterfeiting and drug shortages is higher as well. But there are new developments that may make it easier and more affordable for patients to obtain their specialty drugs. In our next post, we will discuss the advent of “biosimilars,” and include tips on getting your insurance company to cover the costs of your biologic medications. The passing of the Affordable Care Act has implemented a number of changes to American healthcare. Many of these changes directly affect families, the elderly, and people with pre-existing conditions, leaving many of 20-somethings wondering “What does this mean for me?” One major impact of the new law is that young adults can stay on their parents’ healthcare plan until age 26. Before the passing of the Affordable Care Act children could only stay on their parents’ insurance up to age 19, with exceptions for full-time students. Since the law has been enacted, over 3 million young adults have gained insurance. As a recent college graduate, I took full advantage of the new law and remained on my parents’ insurance until 26. After that I had options – lots of options – most of which I knew very little about (sound familiar?). I did know that as a Massachusetts resident I had to be insured, or I would face an increase on my taxes. The first option was to wait for an open enrollment period and get back on my parents’ plan after age 26. For some this may be the best bet. Your coverage will remain largely the same, but the price may be higher than anticipated. Your parents will need to inquire about this process through their work, but it should be a fairly simple process. However, insurance companies are not obliged to offer this, so for some this may not be an option. My second option was to get insured through the state – what is commonly referred to as Medicaid. This option is much more cost-effective, but usually provides less extensive coverage with higher co-pays. We list contact information for each state’s Medicaid program on the NeedyMeds website. If you currently do not have many medical expenses and are in good health, this will probably be the most cost-effective choice. The third option was to get health insurance through my employer. The coverage and cost of employer-provided insurance varies greatly depending on where you work. Some employers offer expensive insurance with great coverage, while others offer the bare minimum. After discussing what they had to offer for insurance with my employer, and comparing that coverage with my other options, I ultimately decided to go the employer-insurance route. Another new feature of the Affordable Care Act is the creation of Health Insurance Exchanges. These marketplaces for insurance will not be in effect until 2014 and will help streamline the process of comparing and deciding upon insurance. But why should I visit the doctor? Regularly visiting your doctor is extremely important to maintaining good health – even for those of us under 30. Diabetes and heart disease, among other serious illnesses, can be spotted ahead of time by your doctor. Taking charge of your healthcare now can seriously benefit your long-term health. 1. What is the donut hole? To answer that question, we first need to understand Medicare and Part D.
According to Jonathan Blum, Deputy Administrator and Director for the Center of Medicare at the Centers for Medicare and Medicaid Services, Medicare is the federal health insurance program for people 65 or older, people under 65 with certain disabilities, and people with End-Stage Renal Disease (permanent kidney failure). People with Medicare have the option of paying a monthly premium for outpatient prescription drug coverage. This prescription drug coverage is called Medicare Part D.
You pay out-of-pocket for monthly Part D premiums all year. You pay 100% of your drug costs until you reach the $310.00 deductible amount. After reaching the deductible, you pay 25% of the cost of your drugs, while the Part D plan pays the rest, until the total you and your plan spend on your drugs reaches $2970.00. Once you reach this limit, you have hit the coverage gap referred to as the “donut hole,” and you are now responsible for the full cost of your drugs until the total you have spent for your drugs reaches the yearly out-of-pocket spending limit of $4,550. After this yearly spending limit, you are only responsible for a small amount of the cost, usually 5% of the cost of your drugs. 2. What is the structure, e.g., cut-offs, coverage amounts and patient payment percentages? The “donut hole” refers to a gap in prescription drug coverage under Medicare Part D. In, 2013, once you reach $2,970 in prescription drug costs (which include both your share of covered drugs and the amount paid by your insurance), you will be in the coverage gap. In 2013, you will get a 50% discount on brand-name drugs and a 14% discount on generic prescription drugs while you are in the coverage gap. When your total out-of-pocket costs reach $4,750, you qualify for “catastrophic” coverage. At that point, you are responsible for only 5% of your prescription drug costs for the remainder of the year. If you receive “Extra Help,” a Medicare program to help people with limited income and resources pay Medicare prescription drug costs, you do not have a coverage gap; therefore, the discount does not apply. Individuals identified as “dual eligible” by CMS are not subject to the donut hole, as their prescription coverage is fully subsidized. 3. What will happen to the donut hole under the ACA? With the passage of the Patient Protection and Affordable Care Act of 2010, people who fall within the donut hole will receive a $250 rebate within three months of reaching the coverage gap to help with payments. The United States Health and Human Services began mailing rebate checks in 2010. 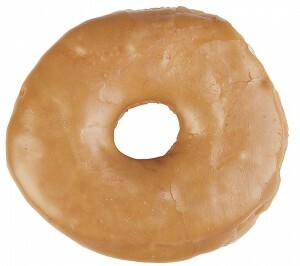 Starting in 2013, you will pay less and less for your brand-name Part D prescription drugs in the donut hole. By 2020, the coverage gap will be closed, meaning there will be no more “donut hole” and you will only pay 25% of the costs of your drugs until you reach the yearly out-of-pocket spending limit. Throughout this time, you will get continuous Medicare Part D coverage for your prescription drugs as long as you are on a prescription drug plan. The donut hole is somewhat of a moving target, with people moving in and out of it at different times. We could not find statistics on numbers of people. 4. How do I get out of the donut hole? In 2013, you get out of the coverage gap when you have paid $4,750 out-of-pocket for covered drugs since the start of the year. When you reach this out-of-pocket limit, you get catastrophic coverage. The costs that help you reach catastrophic coverage include what you spent on drugs while in the donut hole and most of the discount on brand-name drugs you received in the coverage gap. If someone else pays for your drugs on your behalf, this will also count toward getting you out of the coverage gap. This includes drug costs paid for you by family members, most charities, State Pharmaceutical Assistance Programs, AIDS Drug Assistance Programs and the Indian Health Service. You continue to pay your drug plan’s monthly premium during the gap, but the premium does not count toward the $4,750 out-of-pocket limit. The amount your drug plan paid for your drugs in your initial coverage period also does not count. When you reach catastrophic coverage, you pay either a 5% coinsurance for covered drugs or a copay of $2.65 for covered generic drugs and $6.60 for covered brand-name drugs, whichever is greater. Your Medicare drug plan should keep track of how much money you have spent out-of-pocket on your covered prescription drugs and which coverage period you are in. This information should be printed on your monthly statements. To make sure this information is correct, keep your receipts from the pharmacy. 5. Are there health implications to having been in the hole? Today’s Seniors Network reports that “ this (donut hole) directly punishes middle class retirees and disabled people who have worked their entire lives and don’t qualify for special poverty assistance, yet still need to live on meager fixed incomes. The median per capita income for retirees is $14,664. Many individuals who hit the donut hole are forced to choose between food and medications. It as been argued that the donut hole actually costs taxpayers more money, as those without coverage report worsening health and an increase in emergency hospital visits, which are covered by traditional Medicare. Tragically, mortality rates have increased by nearly 25% where prescription drug coverage has been capped, such as with the donut hole. 6. What is true out-of-pocket expense? The premium for your drug plans (Medicare Prescription Drug Plan or Medicare Advantage Prescription Drug plan). The discounts during the coverage gap that are paid by the plan, meaning the 21% discount on generics and the 2.5% discount on brand-name drugs. Costs that third parties — such as employers and union insurance plans – paid for you. Drugs you bought from a pharmacy that was not in your plan’s network. 7. What happens if a participant goes outside their program? What happens if a person decides against buying Part D coverage? If you do not have a lot of prescriptions each month, and you don’t feel the cost is worth it, you can opt out of Medicare Part D.
You take your sick child to the doctor. An exam is done, a diagnosis made, a prescription written, and instructions given to the parent. The next step: a trip to the pharmacy to have the prescription filled so the child can start the medicine as soon as possible. Right? 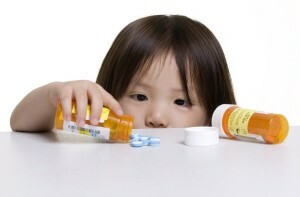 Why, then, did a recent study reveal that up to 25% of children’s prescriptions remain unfilled? Investigators are currently examining whether electronic prescriptions are filled more often (because the patient does not have the opportunity to lose or misplace it), or if, in fact a written prescription serves as a tangible reminder to go to the pharmacy to get the prescription filled. Other researchers are looking at the rate of prescriptions being filled as a result of a well-child visit versus that of a sick-child visit. Some early findings are showing that prescriptions given at sick-child visits are filled more often than those given at well-child visits. For the uninsured and underinsured, the costs of prescription medications can be daunting. Even for those who have health insurance, co-pays and deductibles mean that many still struggle to afford the costs of their medications. Yet not taking medication as prescribed can also lead to emergency room visits, hospitalizations and other medical interventions that are even more costly. Safety net resources may be available for those who are unable to afford the costs of their medications. 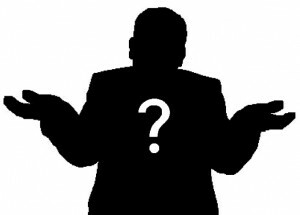 In a future blog entry, we will introduce those to our readers.